These are tooth-colored fillings made from plastic glass and composite resin that can be custom matched to your existing tooth color. Once placed, they will blend in with the surrounding enamel and be indistinguishable from your natural teeth. Uses a composite resin to change the shape, size, or color of your teeth. Because dental bonding uses composite resin, it will be matched to your teeth and blend in. A dental crown is essentially a cap that fits over the top of your tooth to correct structural issues, color, or possible damage. Dental crowns are also sometimes used with dental implants. A dental bridge is a series of dental crowns with a pontic, or fake tooth, that spans over a gap left by a missing tooth. Dentures can either be partial, meaning only a few teeth, or removeable meaning they replace an entire mouth of teeth and must be removed at night. You may also be able to have your dentures supported by dental implants as a more permanent solution. These are artificial tooth roots made from titanium screws that are fastened into your jaw bone. Once placed, they can support a dental crown, bridge, or denture. They are used to replace severely damaged, decayed, or missing teeth and can provide both stability and restored function. These are large fillings that are placed on the surface of your teeth. An inlay is generally placed on the top chewing surface of your tooth, while an onlay is the chewing surface plus one or more of your tooth’s cusps, or points. Veneers are thin shells, usually made from porcelain, that are adhered to the front surface of your front teeth. They are used to correct the size, shape, and color of your teeth and can give you a more even and aligned smile. This can be performed in or out of the office and consists of using a specialized material to penetrate the dentin layer and remove stains. Professional teeth whitening procedures remove both internal and external stains and can brighten your teeth by as many as 5-10 shades. Smiling regularly has a number of benefits. For starters, smiling has been proven to elevate your mood, reduce your blood pressure, and make you look prettier. It has even been found that people who smile more are perceived to be prettier than individuals wearing makeup. In addition, employers are more likely to hire and promote someone who smiles often. Cosmetic dentistry may be right for you if you would like to change things about your current smile. Specifically, cosmetic dentistry can help you change the size, shape, color, alignment, and spacing of your teeth. 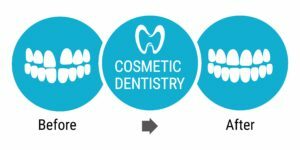 If you would like to change one or more of these aspects, then cosmetic dentistry may be right for you. In addition, cosmetic dentistry may also be right for you if you want to repair damaged, decayed, or missing teeth. To find out for sure if cosmetic dentistry is right for you, schedule a consultation with one of our dentists at Magnolia Dental today! How do I know which cosmetic dental treatment is right for me? Am I happy with the color of my teeth? Am I happy with the size and shape of my teeth? Am I happy with the alignment and spacing of my teeth? If I could change one thing about my smile, what would it be? Do I have missing teeth? Am I willing to alter the natural surface of my teeth? Do I want a short-term or long-term solution? Do I want a permanent solution? 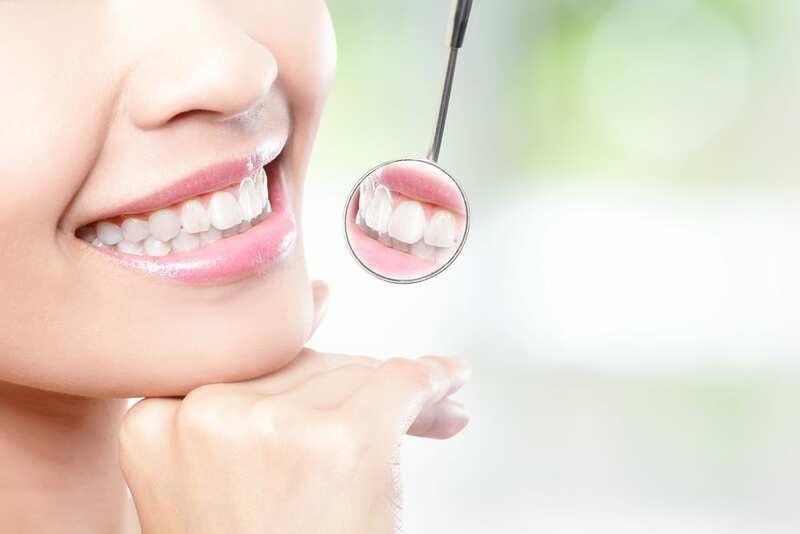 Additionally, some of the most popular cosmetic dental treatments performed today are: teeth whitening, veneers, dental bonding, dental crowns, and dental implants. What should I expect when having cosmetic dental treatment at Magnolia Dental? The expectations for cosmetic dental treatment will vary depending on the type and extent of treatment you choose. Some cosmetic dental treatments only require a single office visit and no recovery period, while others may require multiple office visits and varied recovery periods. When we discuss your options, we will also discuss what your expectations should be for each procedure. You can also check out our Services page for more information on each individual procedure. What should I expect after having cosmetic dental treatment at Magnolia Dental? After your cosmetic dental treatment, you may have specific directions you will need to follow. The nature of these directions will again depend on the type and extent of the treatment you had. Generally, most post-treatment guidelines pertain to temporary diet restrictions, keeping the affected area clean, altering your oral care routine, and possibly taking pain medication or antibiotics. Before undergoing any procedure, our dentists will thoroughly explain what your post-treatment care will be. Will the results of my cosmetic dental treatment last forever? Possibly. Some cosmetic dental treatments, such as teeth whitening, only provide temporary results and must be repeated to maintain these results. Other cosmetic dental treatments, such as composite fillings, have a set lifespan and may eventually need to be replaced or repaired. There are also temporary and permanent cosmetic dental treatments. An example of a temporary treatment would be dental bonding, because this can eventually be removed and replaced with a different cosmetic treatment such as veneers or a dental crown. An example of a permanent treatment would be veneers or a dental crown because they both require your natural tooth structure to be altered for their application. Once your tooth structure is altered, it cannot be reversed. How much will my cosmetic dental treatment cost? The cost of your cosmetic dental treatment is based on a number of factors including the type of treatment, the extent of treatment, and the location in your mouth where the treatment is being performed. Some cosmetic dental treatments are more affordable than others, however there is such a wide range of options that you are sure to find something that fits your needs and your budget.